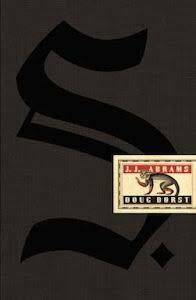 Though there is only so much mystery a person can handle at once, particularly when one is buried in all of it, we nonetheless set sail, bound for adventure, aboard a book: a chronicle of two readers finding each other, and their deadly struggle with forces beyond their understanding and we do so with the author's author, Doug Dorst. 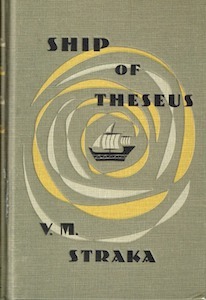 Topics: Ship Of Theseus, VM Straka, JJ Abrams, Lost, The Swerve, Lucretius, Coincidence, Mystical, In Between, Simultaneity, Synchronicity, Discovery, Challenge, Design, Characterization, Linearity, Old Books, Digital Culture, Marginalia, 19, Thought Experiment, Identity, Improvisation, Transcendence, Shared Narrative, Flow State. Since the stars have turned and a time has presented itself, you better believe we are all chomping that out-of-style gum today in a place both wonderful and strange and we are doing so with Wrapped In Plastic co-creator, John Thorne, to discuss the first four hours of Twin Peaks 2017. HELOOOOOO. The program has the pleasure of meeting a new synchromysitic filmmaker today, Jordan Bartee, responsible for the recent film, Initiation. Meanwhile, 25 years later, the owls still are not what they seem, so we enlist the help of Mike Clelland as our guide to understand "the message". The program conducts its annual spring check-in with our favorite projectionist, Michael Allen, to talk Synchronicity and music, and to get our 2017 Coachella update. The program considers the horrors of everyday life by taking a trip to Florida with novelist Paul La Farge to visit H.P. Lovecraft and Robert Barlow during the spring of 1934. A Lesser Summoning and Contact with Ye Outer Spheres is described in Yoh-Vombis. In the midst of a western super bloom, the program takes a 42 minute "nature fix" with author and journalist Florence Williams to discuss her latest book. The program looks back at five days of Treefort Music Fest 2017 with Jun & Marcus, members of Cult Bride and Pure Ivy, who performed at this year's festival. Our 2017 March Music Showcase comes to end in a basement in Ballard with the Seattle trio, Wild Powwers who will be playing the Treefort Music Fest Friday, March 24th, 9:30 pm at the Shredder. This evening we convene the first installment of the 42 Minutes Supper Club hosted this time by Sun Blood Stories, who will be playing the 2017 Treefort Music Fest, Friday, March 24th, 10 pm at The Linen building. The program takes a 42 minute ride with Portland trio Sama Dams touring their way to the Treefort Music Fest where they play Saturday night, March 25th, 7:30 pm at the Linen Building. With the our March Music Showcase underway, the program connects with Erick from The Dig to chat about touring and music. The program previews Treefort Music Fest 2017 with the festival's production design director, Sean Aucutt. The program comes out of Room 237 with author and interviewee Juli Kearns to not only map the Overlook, but to map the maze of Kubrick films as well as synchronicity. The program seeks to understand The True HOOHA and the identity of Wolfking Aweseomefox by traveling to Moscow via Hong Kong with Edward Jay Epstein, author of the recent Snowden bio reviewed on the cover of The New York Times Book Review. Today the program bends an ear to hear a tale about ranching in the central Idaho mountains by a real cowboy, Glenn Elzinga. The program shares a dialog about writing, characters, and connectivity with author Jonathan Evison, who inspired the recent Netflix film, The Fundamentals Of Caring.